This week’s BOTW, NEW POLITICS, will surely cure your mid-week blues with their upbeat, rock-along songs. Thanks to my local alternative radio station, 107.7 The End, I became acquainted with “Harlem”, their extremely catchy new single. If Hot Hot Heat and The Strokes came together to write a song, I am positive it would sound like “Harlem”. With the megaphone vocal filters, contagious dance-rock melodies, and air-drummable beats, headbanging and singing ruthlessly in your car is inevitable. New Politics’ self-titled debut album was released in 2010. You can expect to find 10 quality songs that are danceable alt-rock infused with some Beastie Boy-esque raps and happier-Nirvana-esque quitar riffs (i.e. “Yeah Yeah Yeah”, “Love is a Drug”, “Dignity”). These Danish rockers have definitely made a mark in the American alt/indie rock scene and I am stoked to get my hands on their second LP/see them live! 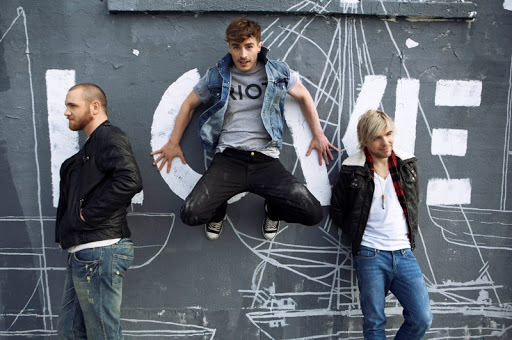 If you like _____, you’ll love New Politics! Side Note: When I did a Google image search of “New Politics band”, Beyonce came up the 4th row down. She really is the Queen.